arguments against women pastors | J.W. Wartick -"Always Have a Reason"
The debate over women in the church–and particularly in church leadership–often has a different tenor when it is carried out in those church bodies which are sacramental in nature. A recent post over at The Junia Project entitled “Women & Leadership in Sacramental Churches” written by Tim Peck highlighted some of the different issues that come up in these church bodies. Here, I will present a few objections that often come up to women in leadership in sacramental churches, using Peck’s post for some insights. Then, I will note how from a Lutheran perspective, the notion that women cannot perform the sacraments is unfounded. One common objection to women serving in the office of the pastor has been that the pastor is to serve in the place of Christ when presiding over the sacraments. Thus, it is inferred that because Christ is a man, the pastor must also be a man. A similar objection is that Christ is the bridegroom of the church, and the pastor acts as Christ to the church. Thus, the pastor must be male, it is argued, because of the union of bride (church) and groom (Christ/pastor). As one complementarian I spoke with on this issue asserted, if the pastor were a woman, it would mean the church is in a homosexual relationship with the pastor (the inference being that the bride [church] would then be ‘married’ to the woman pastor). Jesus was ethnically specific (Jewish), gender specific (male) and class specific (poor). To focus on just one and ignore the other two for the presider to function sacramentally seems arbitrary. The second, similar objection can be answered by pointing out that the literal interpretation being used to exclude women from the pastoral office should also exclude any number of others from the office as well. After all, to turn the analogy the complementarian used above, if the pastor were married, then the pastor would be in a polygamous relationship with the church! But of course this is absurd. The reason it is absurd is because an analogy–the pastor being as Christ to the church–is being pressed into service literally. But this literalism is selective at best. [T]he New Testament itself insists that any priesthood existing among Christians would differ significantly from the old covenant priesthood. This should be obvious, since the old covenant priesthood was passed on by heredity. 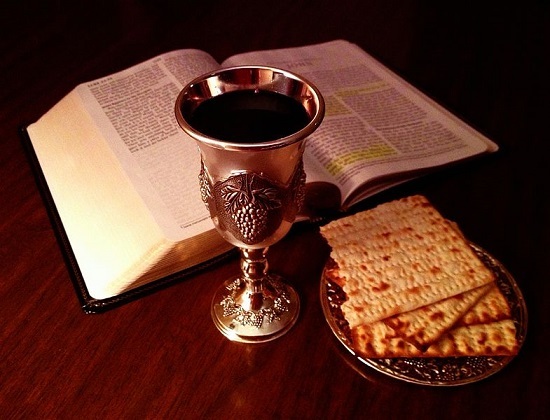 Moreover, men who suffered disabilities such as deformities, blindness, or mutilation were forbidden from serving as priests in the old covenant. He offers other reasons to undermine this argument as well, but I think this one pretty much clinches it already: there is, again, a selectively literal reading happening. When it’s helpful for the complementarian argument, texts are taken literally, but even in the same contexts the literalism is not applied consistently. From a confessional Lutheran perspective, the documents contained in the Book of Concord are binding. Yet, the types of arguments already analyzed above are often presented alongside the notion that a woman cannot perform the sacraments by virtue of being a woman. The reason this is true often varies from person to person, but the core of the reasoning is that women are excluded from the pastoral office and so by necessity cannot perform the sacraments. This reasoning reveals a presupposition: the sacraments, if performed by a woman, are made invalid. Thus, we find the unified teaching of the Book of Concord is that the efficacy of the sacraments is not based upon the person performing them. Indeed, if they were, then surely our confidence in the sacraments would be destroyed, for what pastor has no sin? The sacraments, then, cannot be made invalid because they are performed by a woman. The most likely response to this kind of reasoning would be to appeal to the biblical text to argue that women shouldn’t be pastors. However, this type of response would be a red herring. A discussion of the biblical texts is both necessary and valuable, but the argument that Lutheran complementarians have presented suggests that somehow the sacrament cannot be performed by a woman. Yet, as was demonstrated above, the Lutheran confessions themselves contradict this. The efficacy of the sacrament is not–thank God–dependent upon the one performing the sacrament. Thus, to argue that women would somehow invalidate the sacrament would be to deny the confessions of faith that we hold most dear and, indeed, undermine the very basis for our confidence in the validity of sacraments to begin with. No human is without sin; none has no blemish. Our confidence in the sacraments is found not in the person performing them but in the unfailing word of God. Another possible response is to appeal to, for example, the Apology of the Augsburg Confession, Article XIV, section 1 in which it states that “no one should be allowed to administer the Word and sacraments unless they are duly called…” The appeal would then go on to suggest that no woman, by virtue of being a woman, can be “duly called” into the administration of the Word and Sacrament. This counter-argument begs the question from the beginning. Rather than offering an argument as to why women cannot be duly called, the complementarian has here simply assumed that women cannot be called and then applied this backwards to exclude women from performing sacraments. If the appeal is then, again, made to the biblical text, then that is where the debate must play out. But notice that if one moves in this direction, they have already conceded the invalidity of the reasoning the argument began with. Instead, they must continually retreat from the reasoning used above and try to argue from proof texts through specific–often unquestioned–exegetical methods. There are many arguments put forward in sacramental churches against the possibility of women being in the role of the pastor. An analysis of two primary arguments have shown they are faulty in that they are selectively literal. From a Lutheran perspective, we find that the Lutheran Confessions themselves actually work against anyone suggesting that the sacraments are invalid when performed by any variety of people. It is God working, not some magical formula that the human must perform. We must instead go back to the texts and approach them with a cautious eye towards the fact that we have selectively taken parts literally that cannot, when pressed, hold up. The conversation within Lutheran circles–and indeed, within sacramental circles generally–should continue, but the arguments analyzed herein have been shown to be wanting. Tim Peck, “Women & Leadership in Sacramental Churches” 2015, online at http://juniaproject.com/women-leadership-in-sacramental-churches/. The Book of Concord: The Confessions of the Evangelical Lutheran Church (Minneapolis: Fortress, 2008). The Image in this post is from Wikimedia Commons and published under Creative Commons licensing. It was created by John Snyder and may be found here. Please appropriate cite if re-used.